The Nobel Prize in Physiology or Medicine 2012 was awarded jointly to Sir John B. Gurdon and Shinya Yamanaka "for the discovery that mature cells can be reprogrammed to become pluripotent"
The Nobel Prize recognizes two scientists who discovered that mature, specialised cells can be reprogrammed to become immature cells capable of developing into all tissues of the body. Their findings have revolutionised our understanding of how cells and organisms develop. John B. Gurdon discovered in 1962 that the specialisation of cells is reversible. In a classic experiment, he replaced the immature cell nucleus in an egg cell of a frog with the nucleus from a mature intestinal cell. This modified egg cell developed into a normal tadpole. The DNA of the mature cell still had all the information needed to develop all cells in the frog. 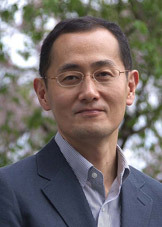 Shinya Yamanaka discovered more than 40 years later, in 2006, how intact mature cells in mice could be reprogrammed to become immature stem cells. Surprisingly, by introducing only a few genes, he could reprogram mature cells to become pluripotent stem cells, i.e. immature cells that are able to develop into all types of cells in the body. These groundbreaking discoveries have completely changed our view of the development and cellular specialisation. We now understand that the mature cell does not have to be confined forever to its specialised state. 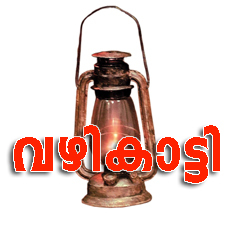 Textbooks have been rewritten and new research fields have been established. By reprogramming human cells, scientists have created new opportunities to study diseases and develop methods for diagnosis and therapy. All of us developed from fertilized egg cells. During the first days after conception, the embryo consists of immature cells, each of which is capable of developing into all the cell types that form the adult organism. Such cells are called pluripotent stem cells. With further development of the embryo, these cells give rise to nerve cells, muscle cells, liver cells and all other cell types - each of them specialised to carry out a specific task in the adult body. This journey from immature to specialised cell was previously considered to be unidirectional. It was thought that the cell changes in such a way during maturation that it would no longer be possible for it to return to an immature, pluripotent stage. John B. Gurdon challenged the dogma that the specialised cell is irreversibly committed to its fate. He hypothesised that its genome might still contain all the information needed to drive its development into all the different cell types of an organism. In 1962, he tested this hypothesis by replacing the cell nucleus of a frog's egg cell with a nucleus from a mature, specialised cell derived from the intestine of a tadpole. The egg developed into a fully functional, cloned tadpole and subsequent repeats of the experiment yielded adult frogs. The nucleus of the mature cell had not lost its capacity to drive development to a fully functional organism. 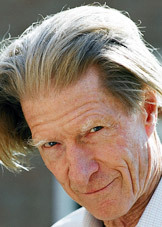 Gurdon's landmark discovery was initially met with scepticism but became accepted when it had been confirmed by other scientists. It initiated intense research and the technique was further developed, leading eventually to the cloning of mammals. Gurdon's research taught us that the nucleus of a mature, specialized cell can be returned to an immature, pluripotent state. But his experiment involved the removal of cell nuclei with pipettes followed by their introduction into other cells. Would it ever be possible to turn an intact cell back into a pluripotent stem cell? Shinya Yamanaka was able to answer this question in a scientific breakthrough more than 40 years after Gurdon´s discovery. His research concerned embryonal stem cells, i.e. pluripotent stem cells that are isolated from the embryo and cultured in the laboratory. Such stem cells were initially isolated from mice by Martin Evans (Nobel Prize 2007) and Yamanaka tried to find the genes that kept them immature. When several of these genes had been identified, he tested whether any of them could reprogram mature cells to become pluripotent stem cells. Yamanaka and his co-workers introduced these genes, in different combinations, into mature cells from connective tissue, fibroblasts, and examined the results under the microscope. They finally found a combination that worked, and the recipe was surprisingly simple. By introducing four genes together, they could reprogram their fibroblasts into immature stem cells! The resulting induced pluripotent stem cells (iPS cells) could develop into mature cell types such as fibroblasts, nerve cells and gut cells. The discovery that intact, mature cells could be reprogrammed into pluripotent stem cells was published in 2006 and was immediately considered a major breakthrough. The discoveries of Gurdon and Yamanaka have shown that specialised cells can turn back the developmental clock under certain circumstances. Although their genome undergoes modifications during development, these modifications are not irreversible. We have obtained a new view of the development of cells and organisms. Research during recent years has shown that iPS cells can give rise to all the different cell types of the body. These discoveries have also provided new tools for scientists around the world and led to remarkable progress in many areas of medicine. iPS cells can also be prepared from human cells. For instance, skin cells can be obtained from patients with various diseases, reprogrammed, and examined in the laboratory to determine how they differ from cells of healthy individuals. Such cells constitute invaluable tools for understanding disease mechanisms and so provide new opportunities to develop medical therapies. Sir John B. Gurdon was born in 1933 in Dippenhall, UK. He received his Doctorate from the University of Oxford in 1960 and was a postdoctoral fellow at California Institute of Technology. He joined Cambridge University, UK, in 1972 and has served as Professor of Cell Biology and Master of Magdalene College. Gurdon is currently at the Gurdon Institute in Cambridge. Shinya Yamanaka was born in Osaka, Japan in 1962. He obtained his MD in 1987 at Kobe University and trained as an orthopaedic surgeon before switching to basic research. Yamanaka received his PhD at Osaka City University in 1993, after which he worked at the Gladstone Institute in San Francisco and Nara Institute of Science and Technology in Japan. Yamanaka is currently Professor at Kyoto University and also affiliated with the Gladstone Institute. Gurdon, J.B. (1962). The developmental capacity of nuclei taken from intestinal epithelium cells of feeding tadpoles. Journal of Embryology and Experimental Morphology 10:622-640. Takahashi, K., Yamanaka, S. (2006). Induction of pluripotent stem cells from mouse embryonic and adult fibroblast cultures by defined factors. Cell 126:663-676.